Although the game was only a friendly game as the season only starts in March, the magnitude of the rivalry meant there was no love lost between the two teams. Indeed in the first 15 minutes of the games both teams had a player sent off, reducing them both to 10 men for the remainder of the game. At the start of the game many fireworks were set off and flares were set alight. I was standing next to a hardore Nacional fan holding a flare with embers flying everywhere. We decided before he burnt us to move a couple of seats along. 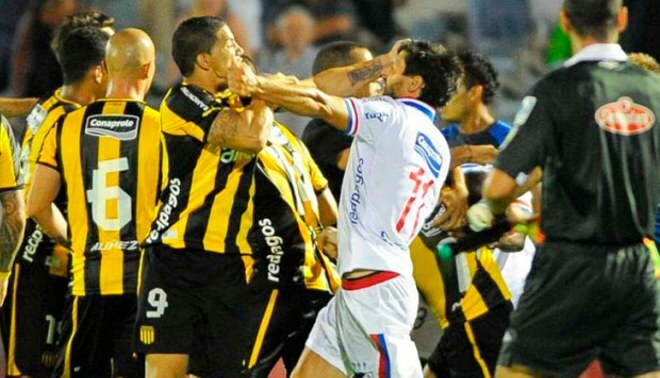 Unlike in England, the sale of alcoholic drinks is prohibited in Uruguayan stadiums as the chance of violent outbreaks with the sale of alcohol would be very strong. Despite the fact that the quality of football was clearly lacking amongst both teams, you got the feeling that that and the result weren’t the most important things. 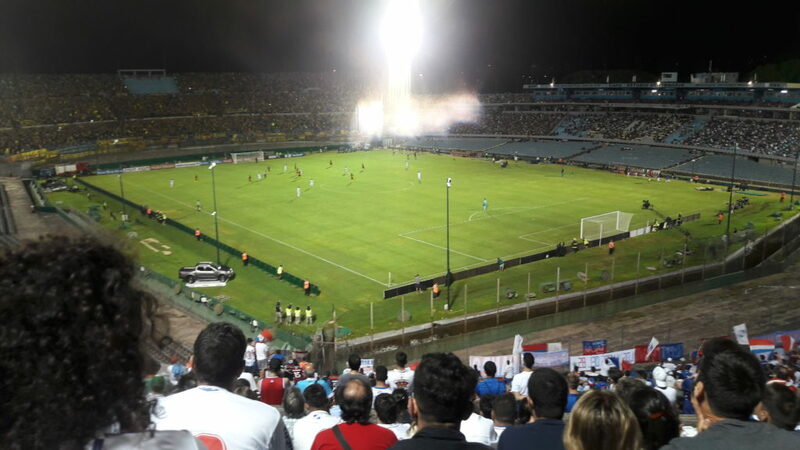 Despite Nacional’s eventual 2-0 both sets of fans were singing in full spirit right until the end.